From before I started art college, I had been interested in how the Cubists (initially Braque and Picasso) were influenced by Cézanne’s later paintings. There seems to me to be a clear visual link, as though Cézanne could be seen as the first Cubist. I didn’t pursue it intellectually. I considered investigating that link as part of a PhD which would have been about Cubism, but decided against. 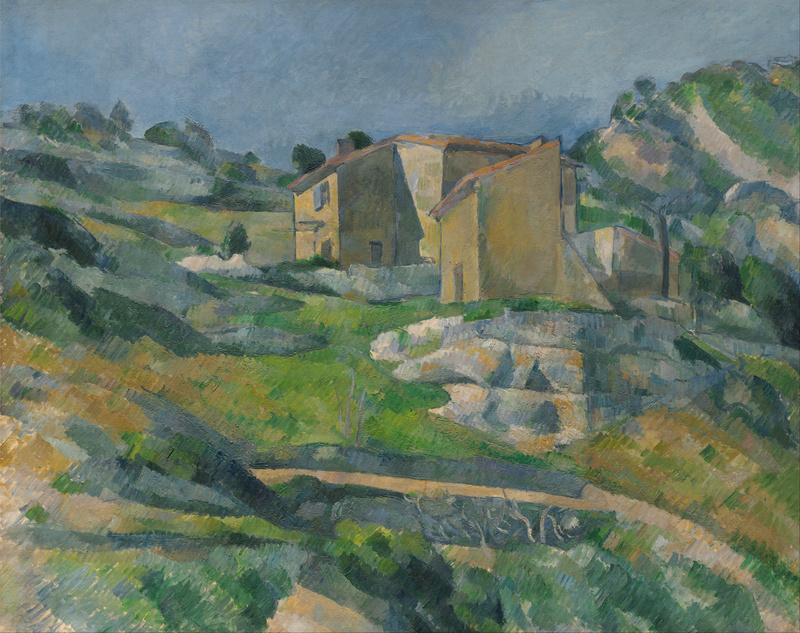 I did pursue the idea visually, for example by using small paper houses to create compositions inspired by Cézanne’s and Braque’s paintings around l’Estaque. 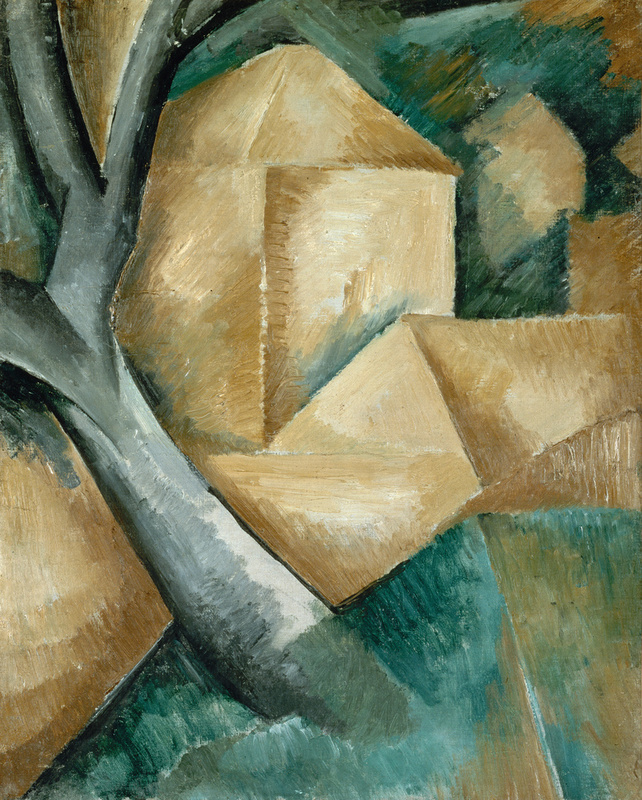 I believe the painting Maisons et arbre is the one that gained Cubism its name. A critic complained Braque’s painting was just “little cubes”.